IFB Investigations is a well established trusted supplier of a wide range of investigation services. Our clients include corporate bodies, government agencies, insurers, legal firms and a wide range of small and medium sized businesses with diverse requirements. IFB Investigations is a Division of The IFB Integrity Group. 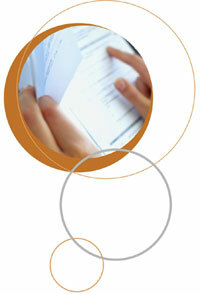 Integrity Sampling, a further division of the Group, provides a modern workplace drug and alcohol testing solution. IFB Investigations combines traditional values with modern techniques to provide a timely, ethical and professional result driven service to our clients ensuring that their needs are met or surpassed. We have a strong customer service focus and are committed to delivering a high quality service to our clients. This is supported by stringent quality control procedures and Key Performance Indicators that focus on quality, results, timeliness and cost. We are conscious of the need for security and confidentiality of information. With that in mind we strictly adhere to the National Privacy Principles. As a condition of employment all our staff and consultants sign a �Code of Conduct� and �Confidentiality Agreement�. Quality - Our commitment is to provide the finest quality product. Service Delivery - Our systems and personnel ensure a professional high level service delivery at all times. Timeliness - We are committed to meeting your deadlines and promptly responding to your needs. Value - Working with you to ensure the provision of a value for money service in line with your expectations. Trust, Honesty and Integrity - Openness and transparency in all of our dealings and communication with our client. Partnership - Our aim is to work closely with our clients to become a valued partner in their business and they in ours. IFB Investigations provide the solution to your problem by specialising in the provision of high quality, diligent and professional services.